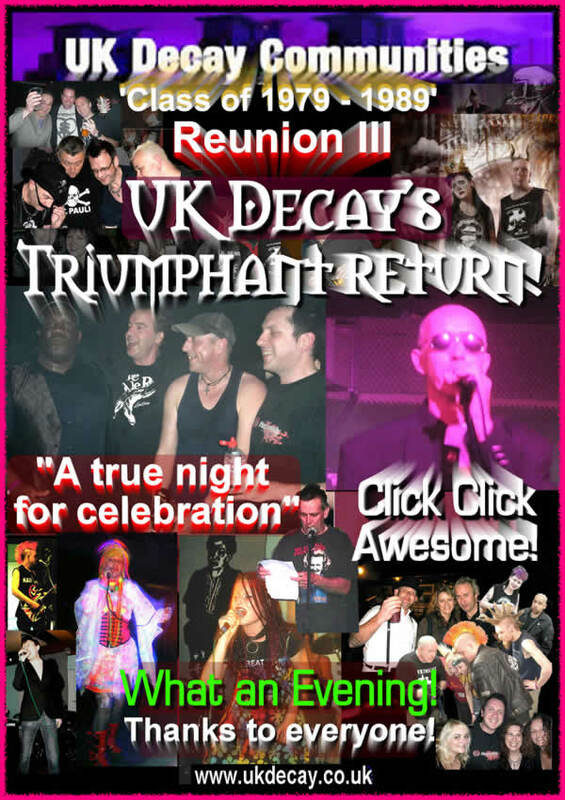 UK Decay set to make another historical appearance. According to Steve Spon, â€œWe are aiming to play significantly more than we did at last years bash. Day-Glo-Anarcho-Psychedelic Punksters, Rubella Ballet set to join party. the Luton area in the years between 1979 and 1989.
massive punky party Night of Celebration. Germany) also join the party. for the party atmosphere after the live music has finished. UK Decay CD's and other merchandise available. UK Decay at Luton Carnival 1983, Werewolf Video & other rare footage. Previous UK Decay Communities Event, Picture Galleries. 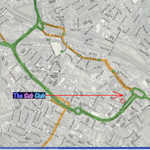 Posted: Tue Mar 18, 2008 3:44 am Post subject: quick update! position to bring some really good news about this forthcoming event. Also further details about the venue and the events proceedings. Posted: Thu Mar 20, 2008 10:46 pm Post subject: Parteeee! 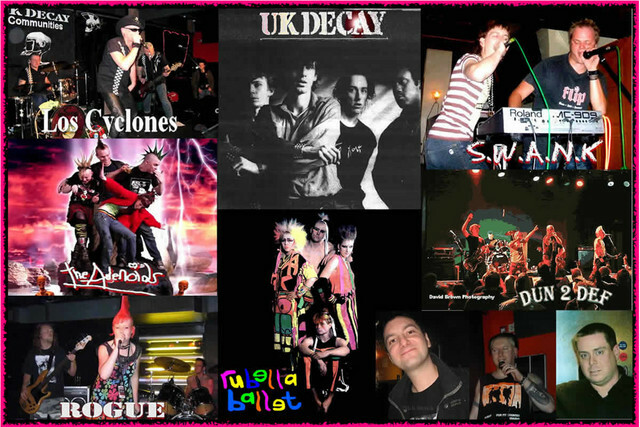 Posted: Sun Mar 30, 2008 8:30 pm Post subject: UK Decay to play? Breaking news! 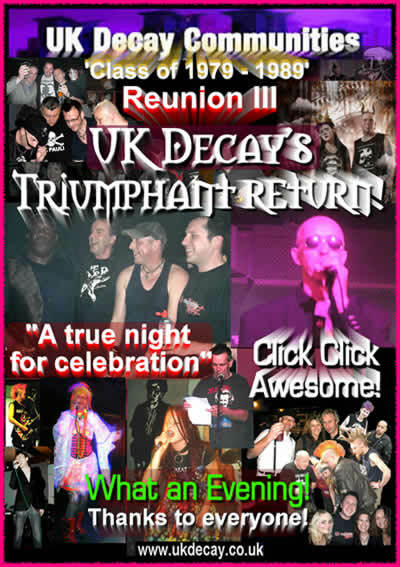 UK Decay to play!! on Saturday June 7th 2008.
you further details on this news soon. we will know more later this week watch this space! This is all going to get very busy soon!! Weâ€™re reveling in this devilâ€™s delight"
FORUM MEMBERS WILL BE EMAILED WITH DETAILS.. PLEASE CHECK YOUR REGISTRATION EMAIL IS CURRENT! Banner codes? Want an online Flyer or Banner for your Myspace site or Blog?this way..
into your blog or myspace profile. Greg has put up a Hotel â€“ Bed and Breakfast list ! For those planning to attend the event.